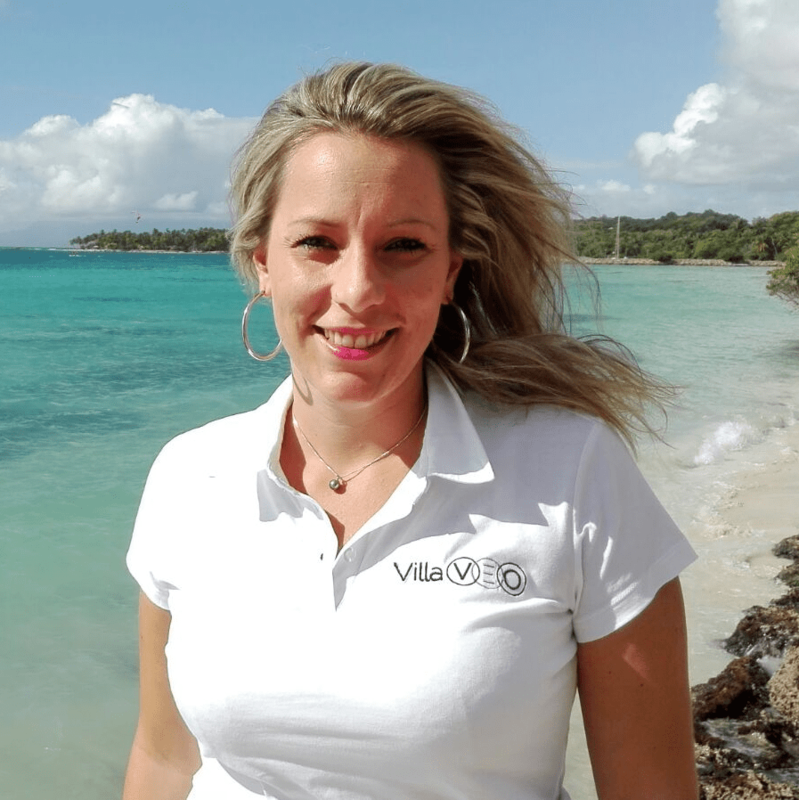 Where is the charming Villa Lily located in Guadeloupe? Villa Lily is located in the town of Saint-François , nestled in the heart of the countryside. This holiday rental in Guadeloupe is only five minutes by car from the pristine beach of Anse à l’Eau . Villa Lily is roughly 40 minutes from Pointe-à-Pitre Airport. The center of Saint-François is a five-minute car away, Le Moule is 10 minutes away where you'll be able to visit the Damoiseau distillery and Réserve Cousteau is around 90 minutes away on Basse-Terre. How would you describe this villa with a swimming pool in Guadeloupe? Villa Lily features 3 air conditioned bedrooms (two with double beds and one with two twin beds) with a separate bathroom. The kitchen, which opens onto a comfortable living room, is fully-fitted and even includes a deep fryer built into the countertop, range cooker, plancha (flat griddle) and filtered water dispenser. Outdoors, the spacious covered patio is the perfect place to relax as it provides various areas where you can take in the surrounding peace and quiet. Enjoy your stay in Guadeloupe while lounging on a deckchair around the swimming pool of your holiday villa cocktail in hand. What is there to do near this holiday villa in Saint-François in Guadeloupe? The beaches closest to Villa Lily are in Saint-François and include Raisins Clairs Beach or on the road to Pointe des Châteaux and its superb beach at Anse à la Gourde . The outlook at Porte d’Enfer in Le Moule and its small cove are only a ten-minute car ride away. You'll enjoy having a drink or a meal in one of the many restaurants at the marina of Saint-François or even playing a few holes of golf. You'll be able to take part in a wide range of water sports on the beach in Sainte-Anne or kitesurf at the kitesurfing spot of Bois Jolan . Be sure to visit the North of Grande-Terre and the dizzying cliffs of Pointe de la Vigie. An average rate of 4.5 / 5 from over 1630 travelers' reviews! For your next vacation in Guadeloupe, we recommend you to have a look on villas and/or apartments located close to Villa Lily. Our selection is based on your search criteria: destination and vacation rental capacity. We are sure that we will find what you are looking for!